Over the weekend I decided it was time to sort through some of my outerwear and clean up my closet for the new season. I have quite a few jackets and coats that I don't wear anymore and for whatever reason I've held on to them. It got me thinking about what types of jackets and coats are good to invest in that will last from season to season. I want to buy pieces that will make it through much more than one season and that I feel will stand the test of time by remaining stylish. The only jacket that comes to mind is the classic trench coat. It has to be the most versatile coat ever! It literally can go from fall to winter to spring effortlessly. I personally love the shape and classic fit. Macy's at Summit Fair has a great selection of jackets and coats right now. I spotted this chic darker tan colored Calvin Klein with these gorgeous gold buttons and was immediately in love! It looks so polished and so much more expensive than the $99.00 price point! 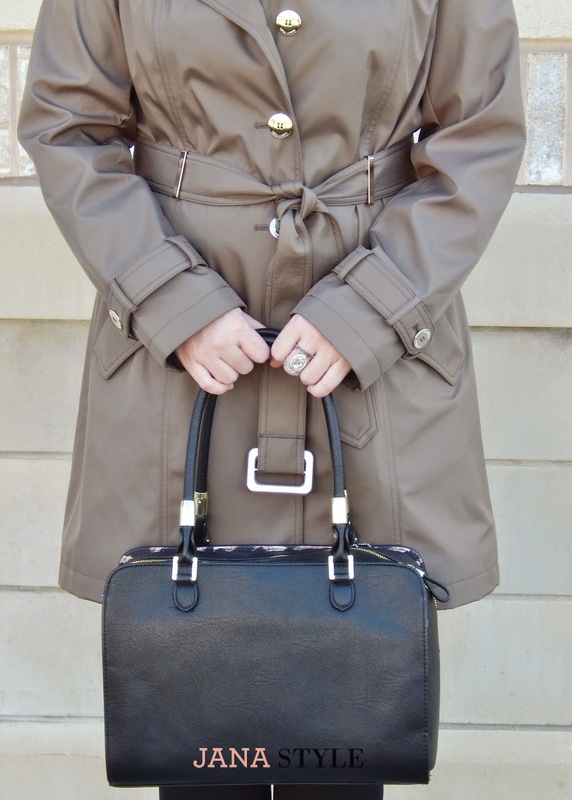 There are many styles and lengths of trench coats available. A mid length version can be worn with dresses and skirts as well has with pants making it much more versatile in your wardrobe. When choosing a new jacket or coat make sure the style is classic and can fit into your wardrobe with several outfit combinations. A coat or jacket is a more expensive piece and you want to make sure you get great cost per wear out of the garment. What is your favorite style of jacket? Do you have any tips for jacket or coat shopping? Share below in the comments, I'd love to hear from you!